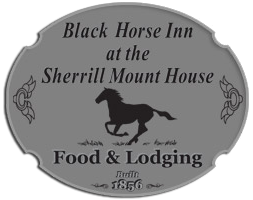 “Iowa’s Oldest Bar and Restaurant” opened in 1853 as a stagecoach stop. Favorites at this homespun eatery include steak, chicken and fresh Mississippi River catfish. 563-552-2220. L. May Eatery is a romantic bistro on the historic 1000 block of Main Street in Dubuque, with an inviting and warm atmosphere with enticing fare and exceptional service. Enjoy Midwest cuisine prepared fresh daily and relax in our eclectic atmosphere. Choose from unique appetizers, delicious pastas, seafood, and the freshest cuts of beef, lamb, veal, and poultry. They offer one of the area’s largest selections of wines to satisfy all tastes. Finish off with one of their beautiful desserts. Our menu changes seasonally so stop by often. Moracco Supper Club has been family owned and operated for over 40 years. Garry and Jeanne Heiar along with their son, Tim Heiar, invite you to try the traditional American food or enjoy cocktails in the lounge. Our lounge area seats 28 plus offers (2) 42 inch plasma HD TV’s for watching your favorite events. The restaurant seats 160 people and offers a full menu at all times. We offer several secret family recipes handed down from generation to generation. Located just 1 mile south of the Grand River Center, Diamond Jo Casino and National Mississippi River Museum and Aquarium. The owners and staff at Timmerman’s Supper Club offer you a famed Midwestern hospitality daily along with a sumptuous Sunday brunch buffet and a DJ on Fridays and Saturdays. To local residents and area visitors, Timmerman’s has become a landmark and tradition for dining excellence. Everything you love about Vinny Vanucchi’s ‘Little Italy’ in Galena, Illinois, is now available at their new location at 180 MAIN STREET in DUBUQUE, IA. You’ll smell the slow cooking marinara sauce and immediately feel like part of the familia. From checkered tablecloths and exposed brick to generations of family photographs and an Italian grocery and deli, their Dubuque restaurant is a fresh, exciting addition to Dubuque’s dining scene. This museum is accredited by the American Association of Museums – a distinction held by 9 percent of American museums, and it was named an affiliate of the Smithsonian Institution in August 2003. The river campus includes the William Woodward River Discovery Center, the National Rivers Hall of Fame, the Fred W. Woodward Riverboat Museum, a boatyard, a wetland and a refurbished train depot. It is located at 350 East Third St. Full-service casino and entertainment complex offering blackjack, poker room, bowling center, three restaurants, banquet facilities, and entertainment. 301 Bell St. 563-690-2113. Get ready for an experience that’s anything but ordinary. You’ll be swept a world away when you step through the doors of our French-inspired casino. Behold the splendor and enjoy all the games, restaurants and racing excitement. 1855 Greyhound Park Rd. 563-582-3647. 3800 Arboretum Drive, 556-2100. Eleven-time recipient of the All-American Rose Selection Association award. The arboretum sponsors an annual Rose Festival, which features rose and photography clinics, artists and activities for children. It has more than 13,000 hosta perennials of more than 700 varieties. During summers, live music is performed Sundays and at other times. A gift shop, a botanical library, viewing decks, walking trails and educational displays are available. The arboretum and all events are free. Donations are requested. The grounds are open 7 a.m.-dusk. May 1-Oct. 31. Nov. 1-May 1, 10 a.m.-3 p.m. Monday-Friday. Visitor’s center opens at 9 a.m.
Five miles south of Dubuque on U.S. 52, 7699 Crystal Lake Cave Drive, 556-6451. A natural “living cave” with intricate and rare formations, this cave is one of several known caves in the United States with examples of cave flowers, a rare form of aragonite crystals. Picnic areas and a gift shop are available. Hours: open first weekend in May. 9 a.m.-5 p.m. weekends only in May. 9 a.m.-6 p.m. daily in June, July and August. 11 a.m.-5 p.m. weekdays and 9 a.m.-5 p.m. weekends in September. 11 a.m.-5 p.m. weekdays in October and 9 a.m.-5 p.m. weekends in October. 2241 Lincoln Ave., next to the entrance of Eagle Point Park, 583-2812. Built in 1856, this Italianate Villa was the home of Mathias Ham, one of Dubuque’s earliest settlers. The 23-room limestone home reflects the splendor of Dubuque in steamboating’s golden era. A 10-minute video provides visitors with a glimpse of the characters who lived in Ham House during that time. It is a Victorian historic home site, named to the National Register of Historic Places in 1976. 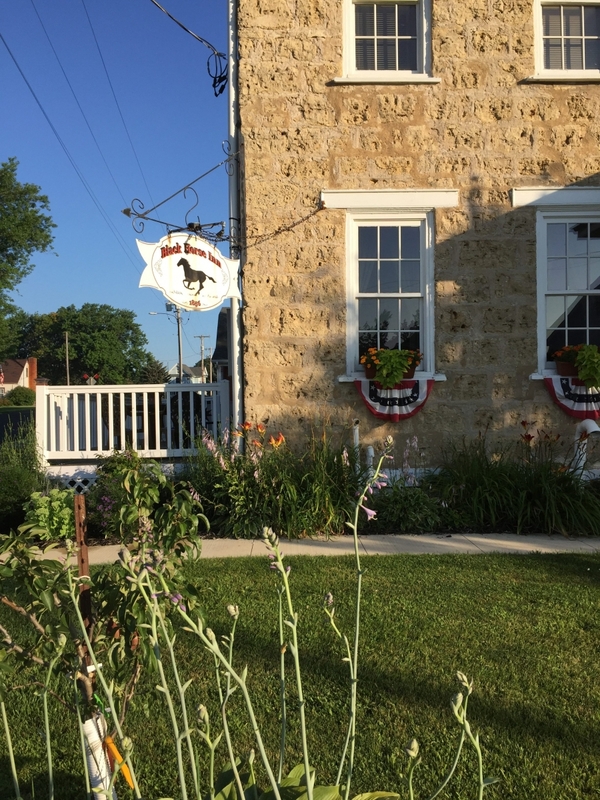 Also located on the site are a one-room schoolhouse and an 1833 double log cabin, Iowa’s oldest building. Guided tours daily May 1-Oct. 31 from 10 a.m. to 5 p.m. Open year-round for groups of 20 or more. Also known as the Fourth Street Elevator. 512 Fenelon Place, 582-6496; fax: 588-2357; Web site: www.dbq.com/fenplco. The elevator was placed on the National Register of Historic Places in 1978 as the world’s shortest and steepest railway. The 296-foot-long lift was constructed in 1882 for convenience purposes. Now, passengers are elevated 189 feet from Fourth Street to Fenelon Place. As the cable car climbs, Iowa, Illinois and Wisconsin are visible through its front window. Open from 8 a.m. to 10 p.m. April 1-Nov. 30. Round trip rides are $2 for adults and $1 for children ages 5-12. One-way trips are $1 for adults and 50 cents for children. Children younger than 5 ride free. Fourth and Main streets. Business office phone: 589-4254, ticket office: 589-4258. Five Flags Civic Center comprises of the historic Five Flags Theater, home of the Dubuque Symphony Orchestra and Heartland Ballet; Five Flags Arena, home of Dubuque ThunderBirds Hockey, circuses, conventions and concerts, the Basement Bijou, home of Fly-by-Night Productions, and Five Flags Ballroom, Majestic Room and Orpheum Room, all available for company meetings. Business office hours are 9 a.m.-5 p.m. Monday-Friday; Ticket office hours are 10 a.m.-5 p.m., Monday-Friday, and noon-4 p.m. Saturdays. Web site: www.fiveflagscenter.com. 701 Locust St., 557-1851. The museum’s bimonthly exhibits feature 19th and 20th century American artists’ paintings, sculpture and photography. Art classes, workshops and lectures that coincide with exhibits are offered. They also offer “art after hours,” social events for a younger age group (21-40). The hours of operation are Tuesday-Friday, 10 a.m.-5 p.m.; Saturday-Sunday, 1-4 p.m. Closed Monday and holidays. Admission for adults is $5, seniors and students $3, children younger than 12 are free and Thursday is free admission for all. 1550 Clarke Drive, 588-6300. Professional, faculty and student works are exhibited with works varying from traditional to avant-garde paintings and sculptures to contemporary digital pieces. Hours: noon-5 p.m. Monday-Friday; and 1-5 p.m. Saturday and Sunday. 1450 Alta Vista St. Loras College students, faculty, alumni and visiting artists’ works are exhibited. Call 588-7118 for times of exhibits and other information.